A-Curve Plug-In enables you to input A-Curve. A-Curve have monotonous and fluent curvature. So, you can easily input aesthetic curves. These curves are input with Rhino default command. The curves do not have fluent curvature. 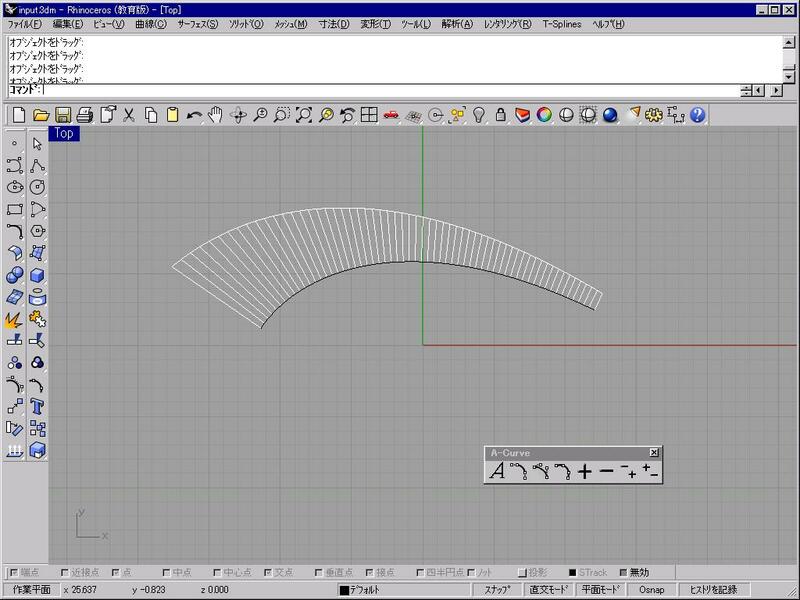 A-Curve Plug-In enables to easily input of aesthetic curve.